Welcome to MC Fests the friendliest Festival in Wisconsin. MC Fests offers safe, clean camping, delicious food vendors, and great music at affordable prices! We invite you to come stay in the beautiful fresh air of the Northwoods & enjoy our country setting! Our log music hall is a must see! Visit our friendly staff at the Redneck Girl Bar and have a cold one! Sip a mixer at Brenda’s Booze Bar! Feel the sand between your toes as you dance the night away to some of the best bands in the state! Take a stroll over to our Old Town Hall serving Breakfast Daily. Bring your friends and make some new ones during your stay with us! We can’t wait to meet you! 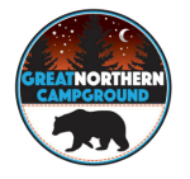 *Campsites are 20 x 45 ft.
*Camping & Parking passes must be placed on camper and vehicle upon arrival at the Festival Grounds. *NO one is allowed anywhere on the MC Festival Grounds without a wristband. Any infraction of the rules will result in removal from MC Festival Grounds without Refund! ALL PERSONS ATTENDING THE MC FESTS 2017 DO SO AT THEIR OWN RISK. NO LIABILITY IS ASSUMED BY THE OWNER, PROMOTORS, SPONSORS, OR OTHERS ASSOCIATED WITH THE EVENT.